Germany's "Volkswagen Law" comes before the European Court of Justice tomorrow, and could have big implications for Porsche and its efforts to control Volkswagen. The law that dates back to 1960 says that no shareholder can exercise more than a fifth of VW's voting rights no matter how many shares are owned. The European Union has been trying to overturn the law, which it sees as a barrier to the free movement of capital. The German government and the state of Lower Saxony maintain that the law conforms with EU laws. According to Porsche CEO Wendelin Wiedeking, with a change in the law, Porsche could essentially have control of Volkswagen. 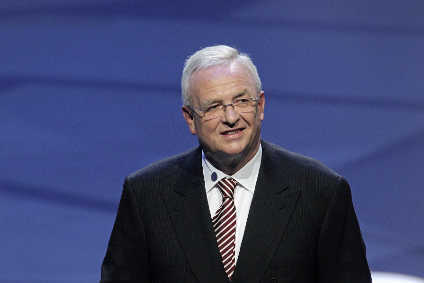 Porsche currently owns 27.4% of Volkswagen's shares (according to latest available information), and Wiedeking has championed the idea of abolishing the law. Speaking to the Welt am Sonntag newspaper at the weekend, Wiedeking said that because attendance at German annual general meetings tends to be so poor, it is not necessary to own 50% of the company to have control. As the largest shareholder, with a corresponding proportion of the voting rights, Porsche would essentially have control. The state of Lower Saxony is Volkswagen's second largest shareholder with a 20.8% stake. It maintains that stake for political reasons because Volkswagen is such a large employer in the state, but if the law is changed it would not be able to exert as much control as Porsche, as it does now. A spokesperson for Lower Saxony has ruled out increasing its stake but has also said it would probably not sell it on the open market. That means it would have to sell to a large private investor. The question is who? At the weekend Wiedeking speculated that Lower Saxony would sell its stake, saying that politics has no role in a business that needs to be internationally competitive. He suggested that Lower Saxony would have to trust a company with competence in the automotive industry to run the company, hinting that Porsche would not be a bad choice for Lower Saxony. Porsche has said it will increase its stake to 29.9%, but not beyond that as then it would have to launch a formal takeover offer for the company. Although Porsche's intentions are not clear, Porsche recently announced that it would raise EUR8bn ($US10.2bn) through the issuing of 8.75m shares. Porsche has only spent EUR4bn so far to acquire its 27.4% stake, so could easily gain more control by using the money to buy more shares. A decision on the 'Volkswagen Law' from the European Court of Justice is expected some time next year.